'AFTER EFFECTS'! Crippled by the events of 'The Oz Effect,' Superman struggles to regain a sense of hope for humanity. 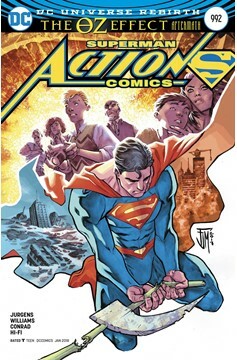 As a strange new threat brews in the background, a faithless Son of both Krypton and Earth must make a choice: stay and fight for his adoptive homeworld, or answer a call from the stars..